I always thought that generic clear-plastic pushpin container is structurally overdesigned. Not only it uses more material than needed, it is also hard to use. But there are clever magnetic sewing pin dispenser that works well. Why not use the same idea for pushpins? What about refills packed into completely biodegradable cardboard tube? 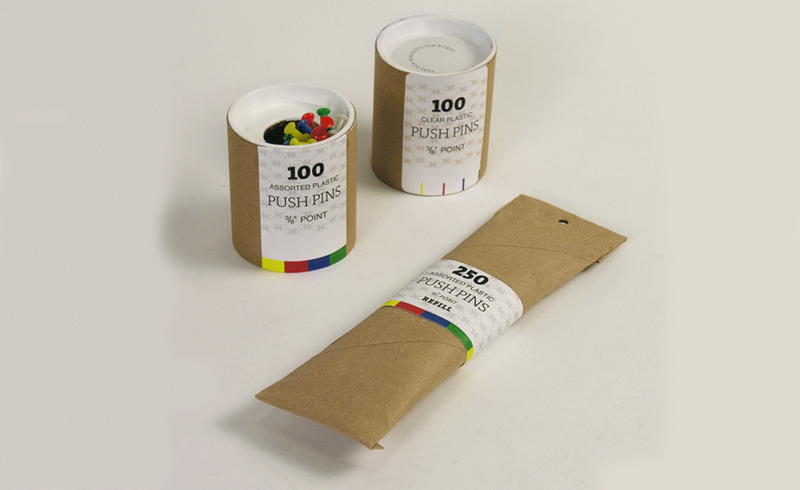 So you have it—pushpin container redesigned.